This is a beautiful dress, I am so happy I purchased it. I got the gorgeous yellow, catch me wearing it all summer. I’m 130 lbs., 5’6 and got a S. The bodysuit fit perfectly! This dress is beautiful! I went to the store to try it on and I'm thankful I did that because it's final sale. There's a bodysuit built it so it's not returnable. I'm a true size 6 and the small worked perfectly for me. Really looking forward to wearing it this summer! 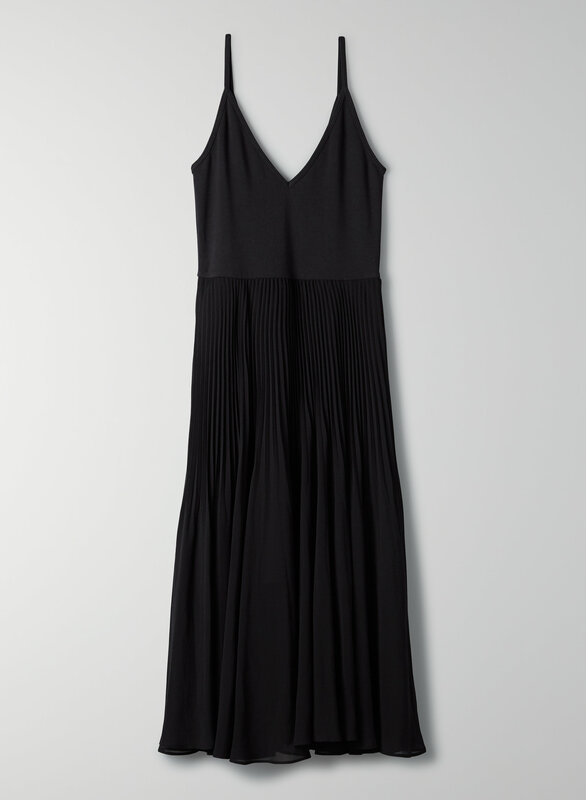 I just bought this dress and I cannot wait to wear it when the weather is warmer. The dress is a little long on me (I'm only five foot) so I had to size down to make sure the bodysuit bit is not too long on my short torso. Not made for a taller person, the bodysuit seemed too short. I also didnt like the material on the bodysuit, it was not soft enough. Too bad because i liked the color.